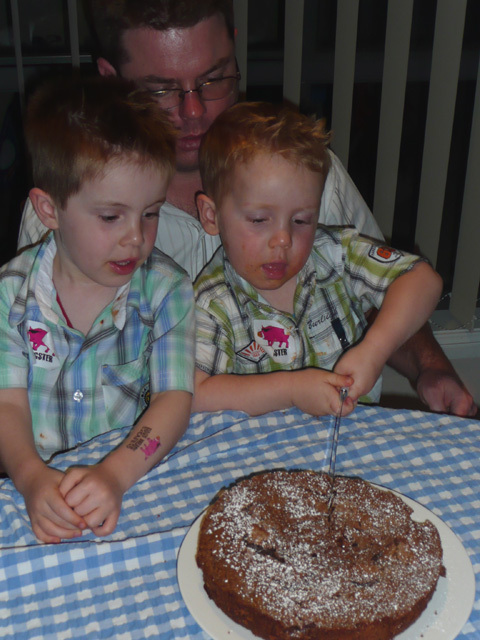 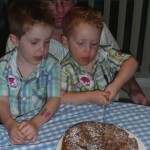 Lachlan turned 3 on Thursday, and we had a little afternoon tea party on Saturday, with some of the relatives popping in. 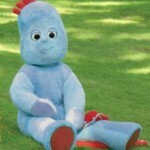 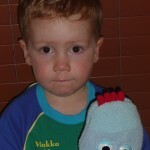 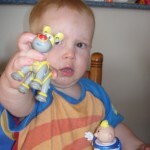 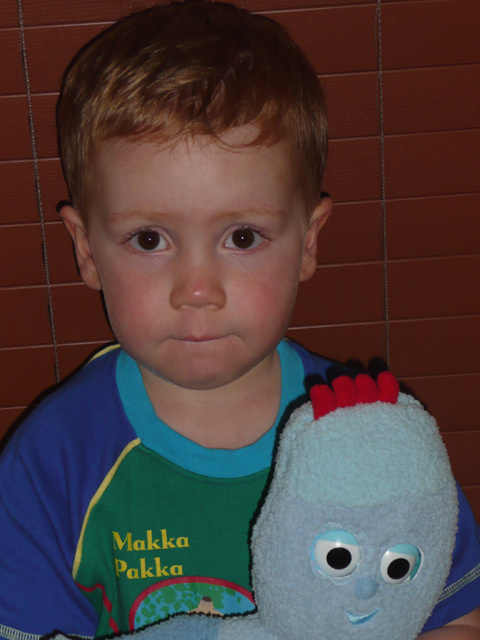 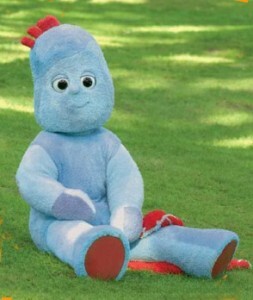 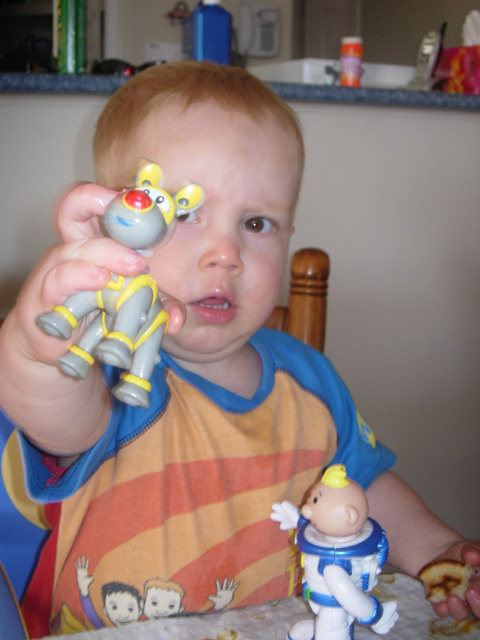 It turned out that Igglepiggle was a big hit, with lots of people getting Igglepiggle-related presents. 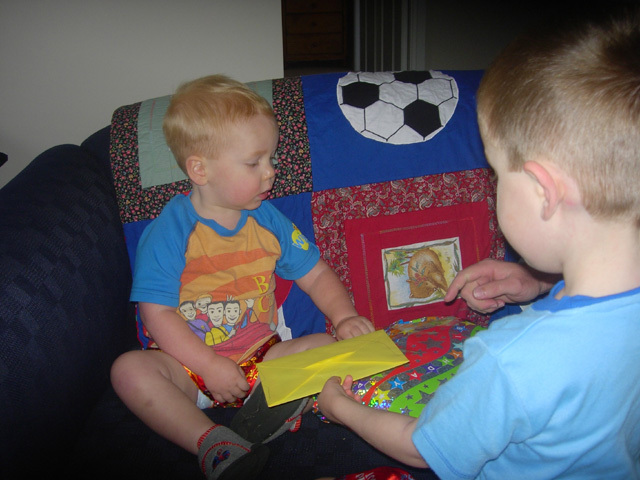 Thanks to everyone for the cards, presents and phone calls. 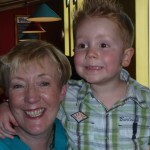 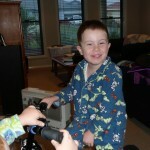 Lachlan did enjoy his days. 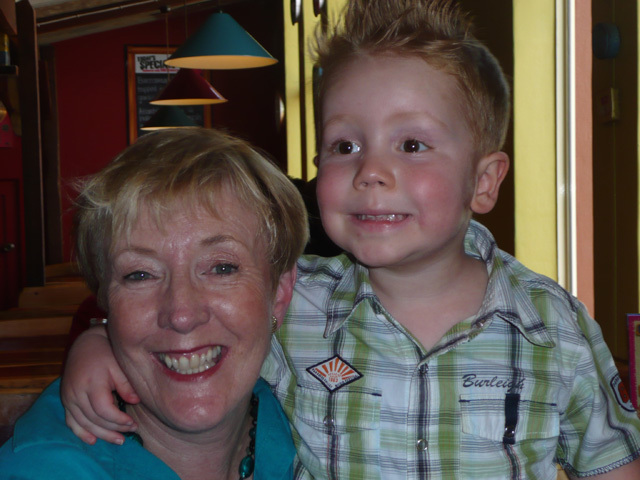 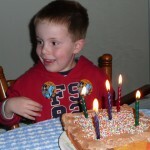 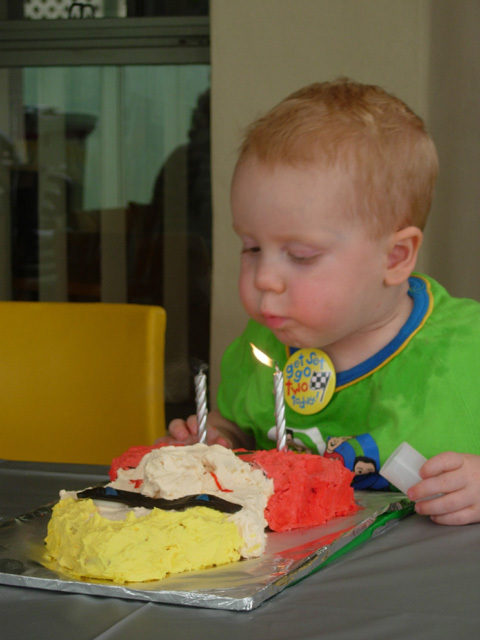 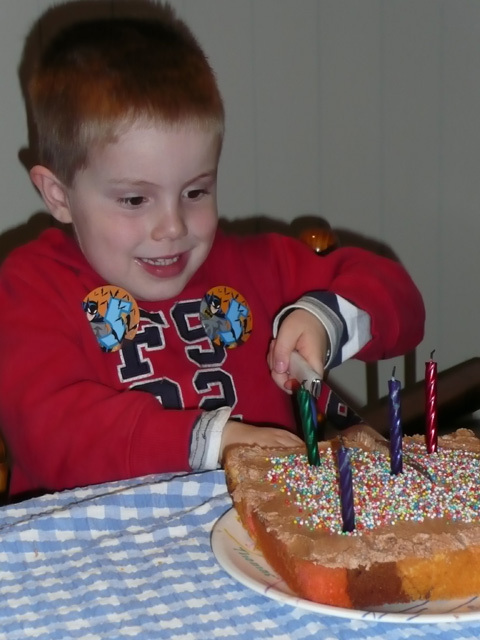 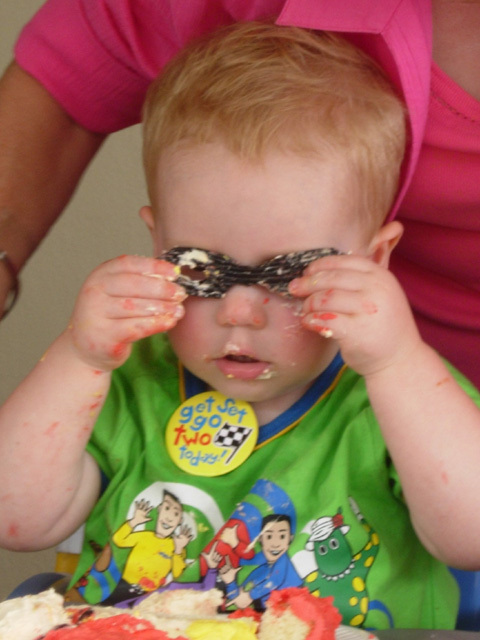 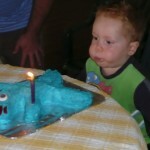 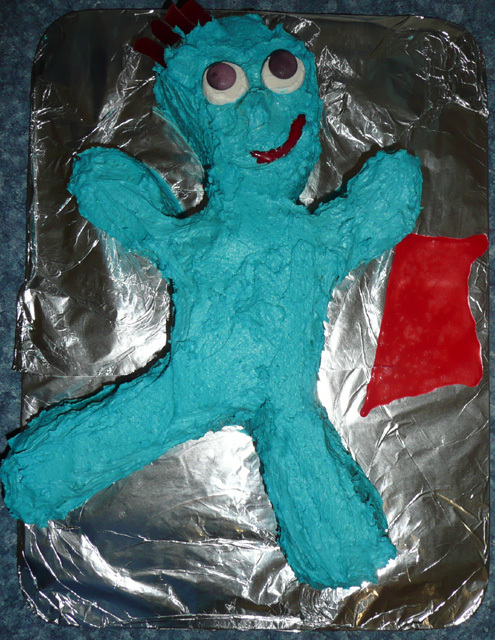 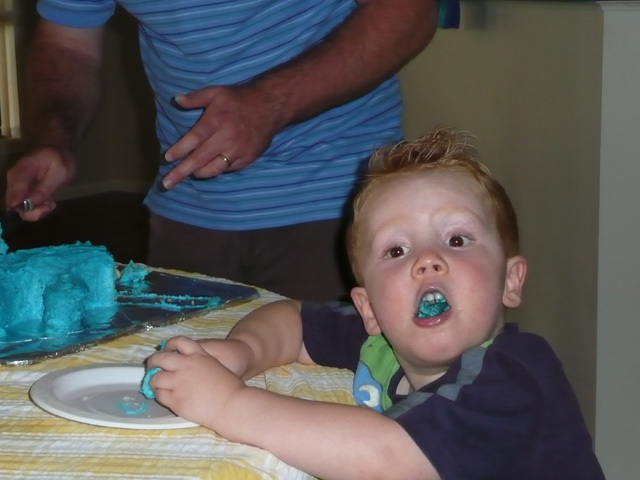 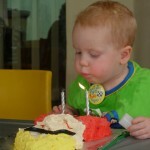 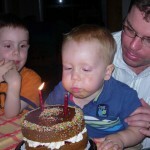 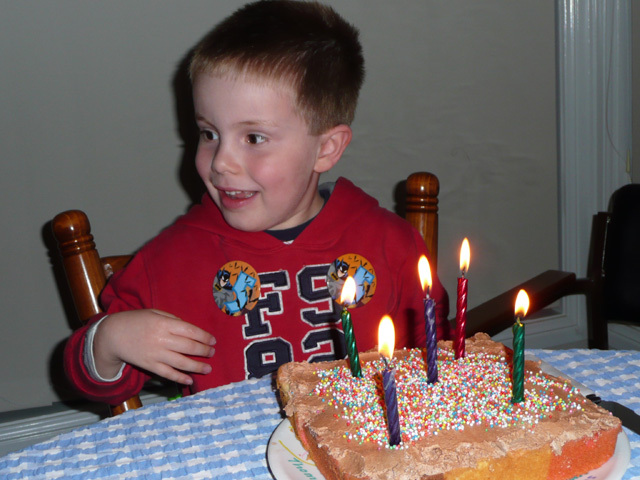 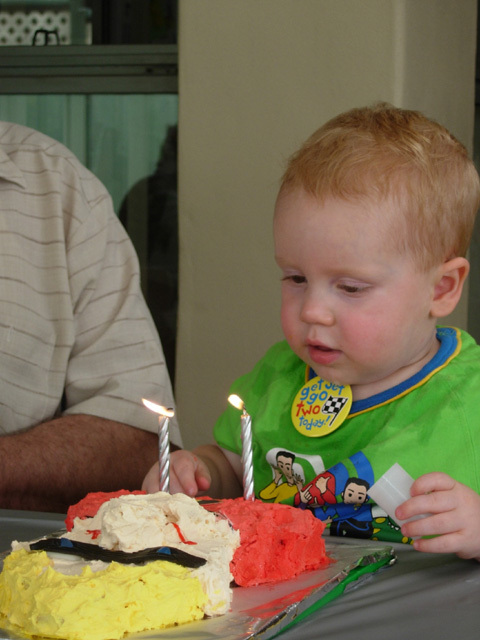 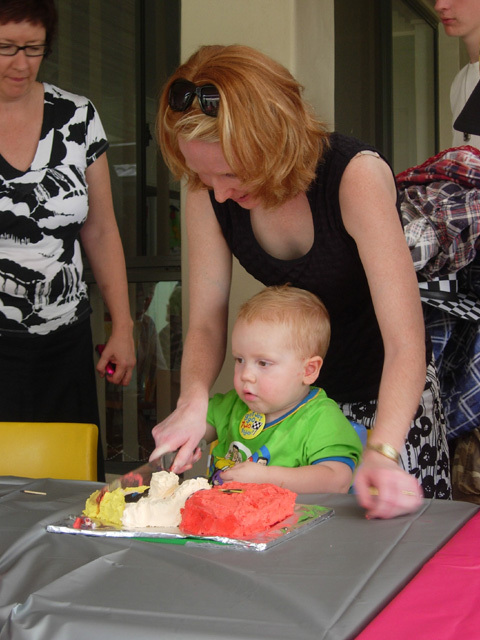 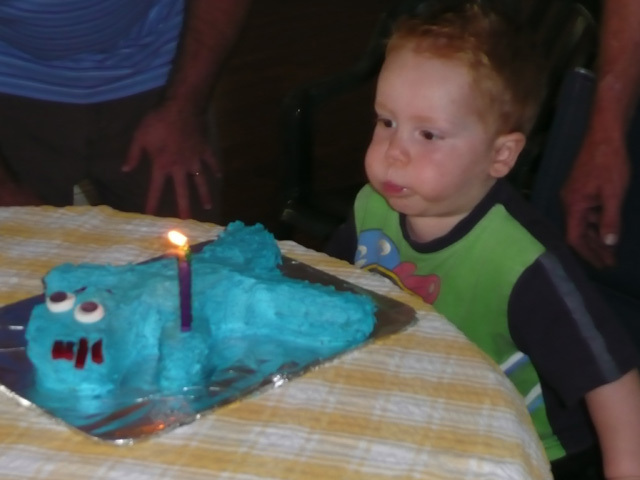 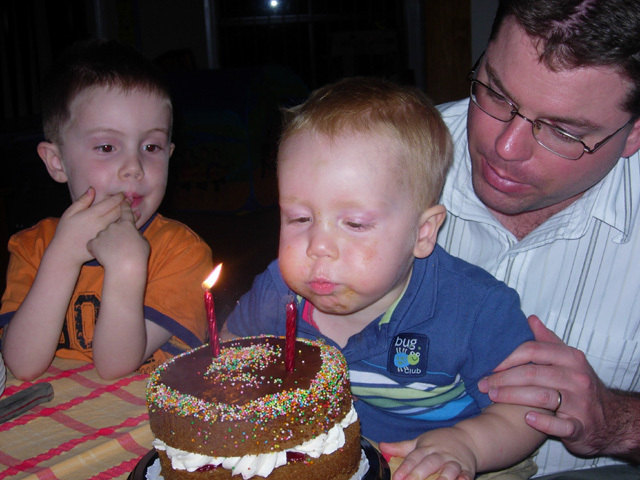 Today was Thomas’ 5th Birthday – it’s hard to believe. 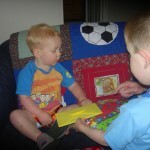 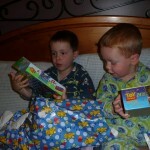 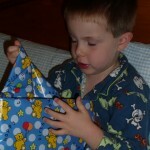 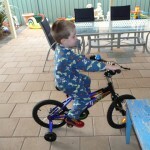 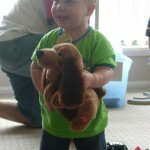 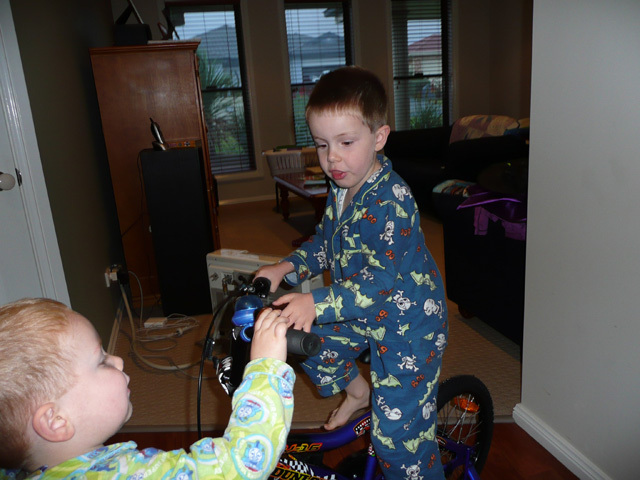 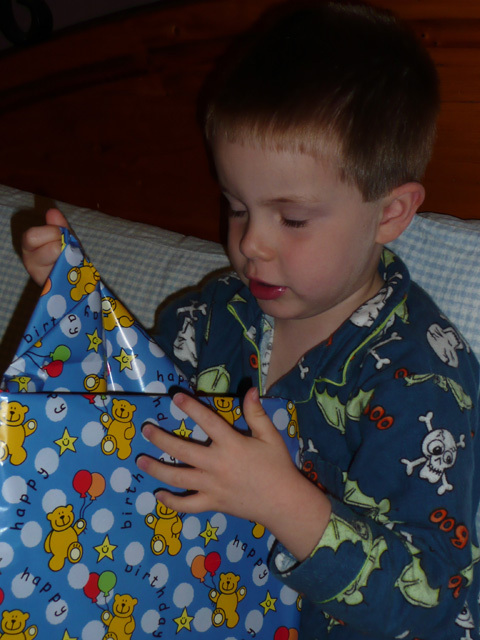 He got up in the morning and opened his presents from Lachlan and Mum and Dad. 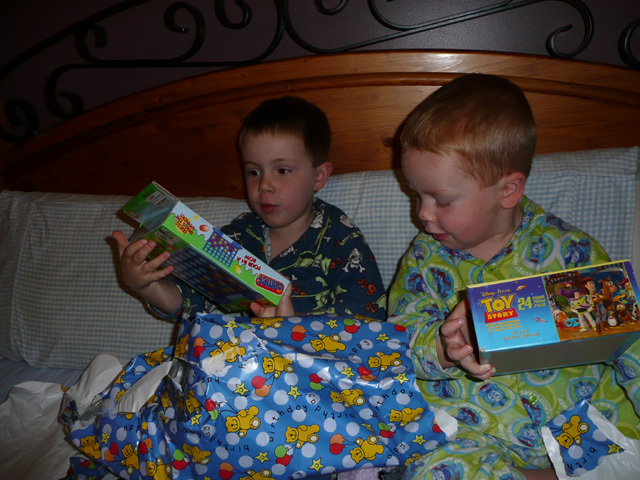 Lachlan gave him Thomas some books, a Toy Story puzzle, and a Connect 4 game. 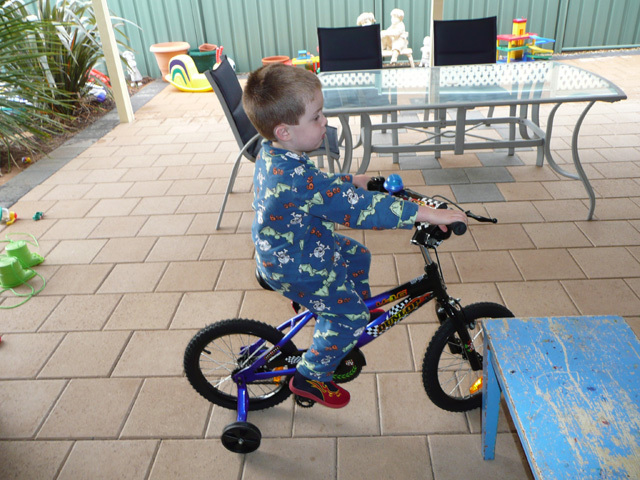 Mum & Dad gave him a new, bigger bike. 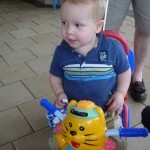 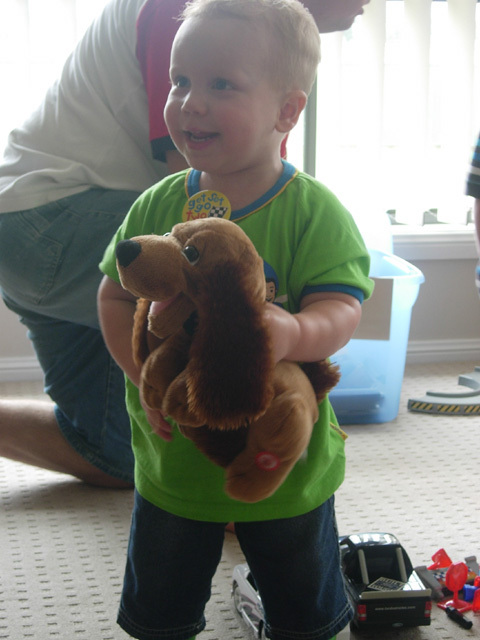 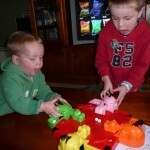 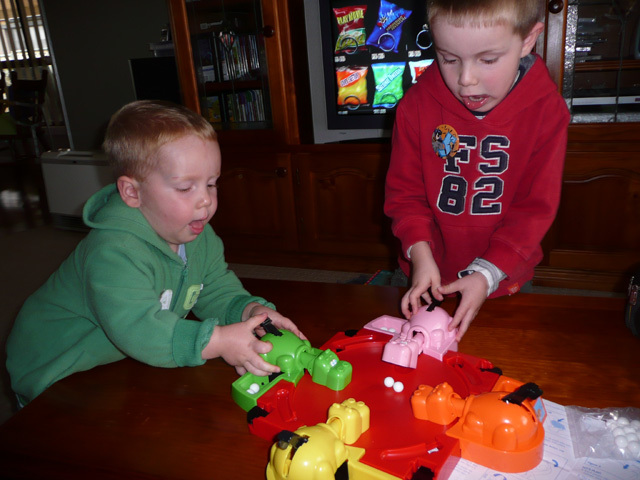 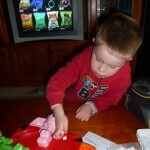 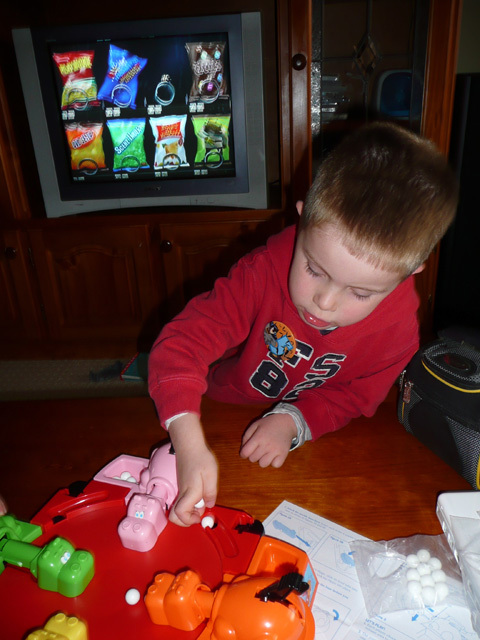 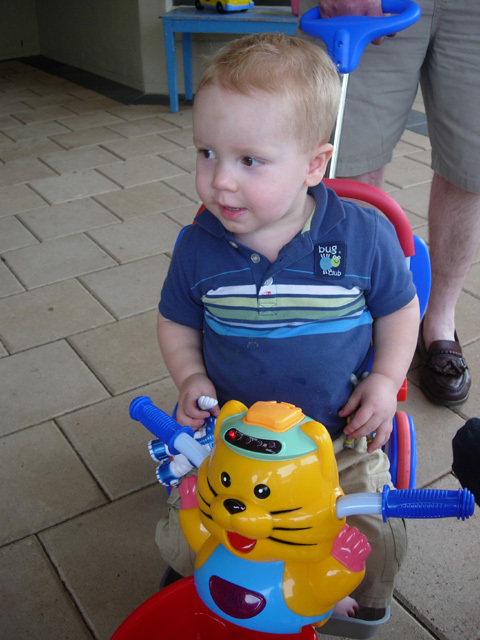 Katie & Greg gave him a Hungry Hungry Hippos game, which proved to be a hit with both Thomas and Lachlan!! 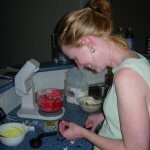 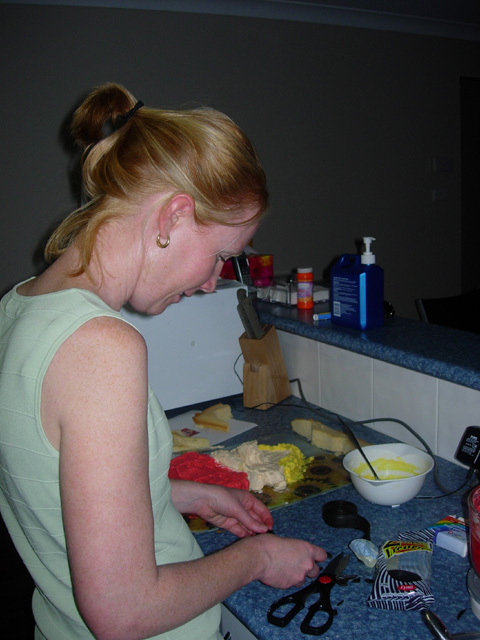 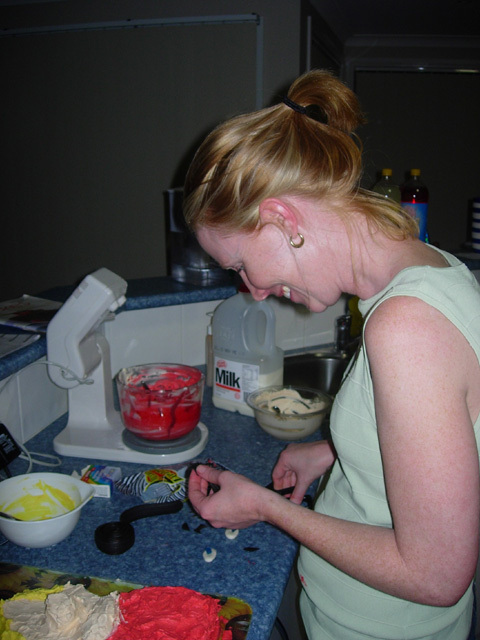 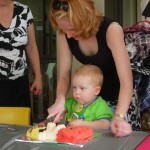 In the afternoon, we had the family over for afternoon tea and birthday cake. 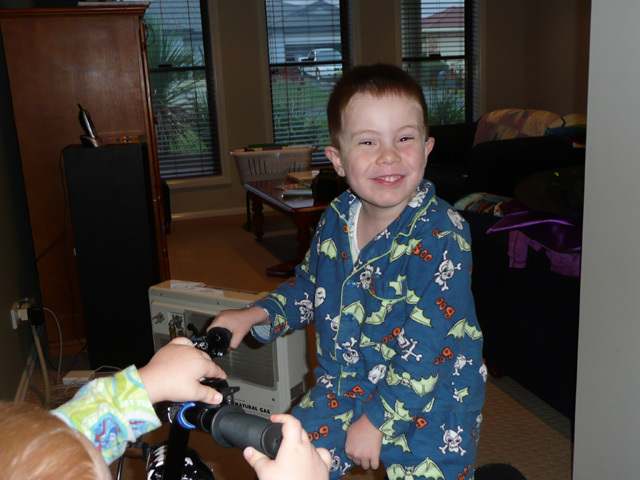 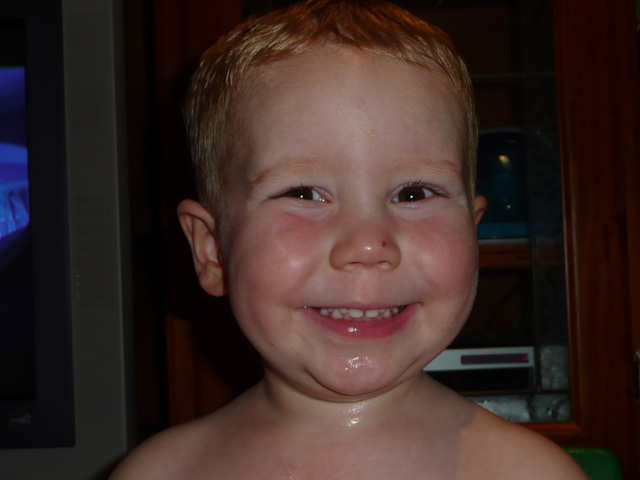 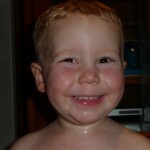 And Lachlan, couldn’t resist giving a cheesy smile at the end of the day. 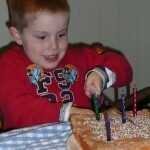 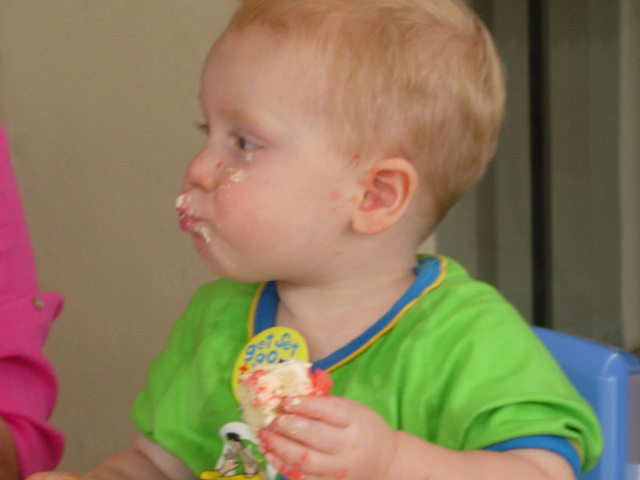 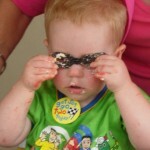 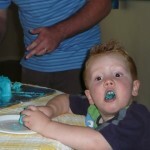 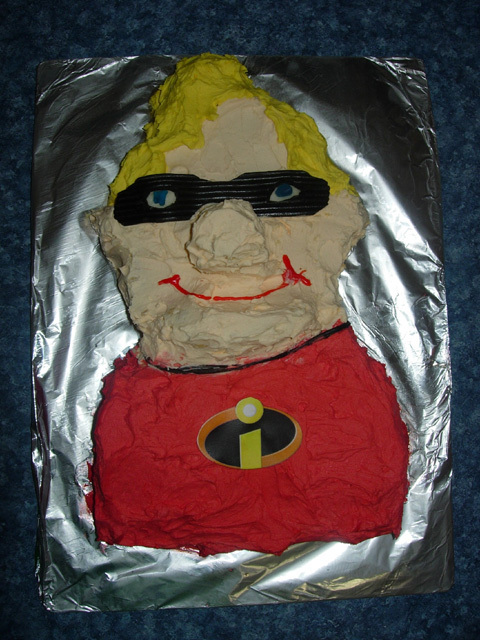 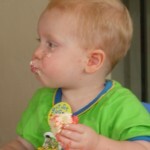 Lachlan’s birthday today. 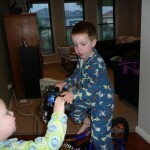 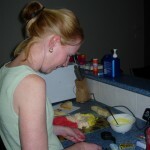 Here are a couple of photos. 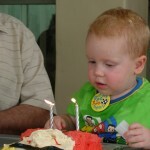 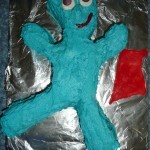 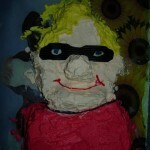 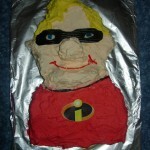 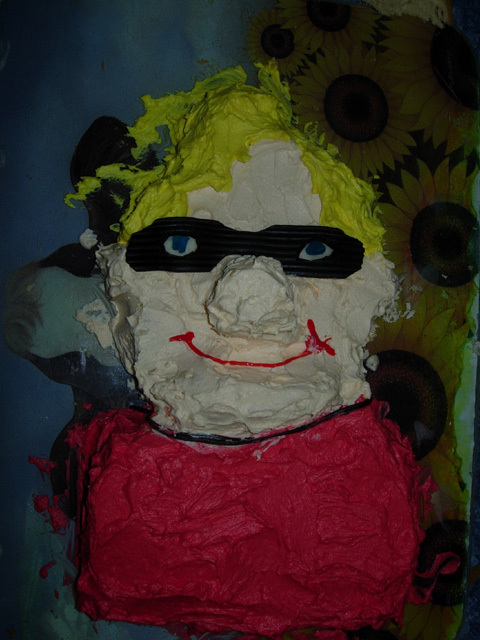 Stay tuned for the birthday party photos, still to come.